As part of Quilt Theory's technical editing process, all of us designers are paired up and test each other's patterns. (You can read more about our entire editing and reviewing process here.) 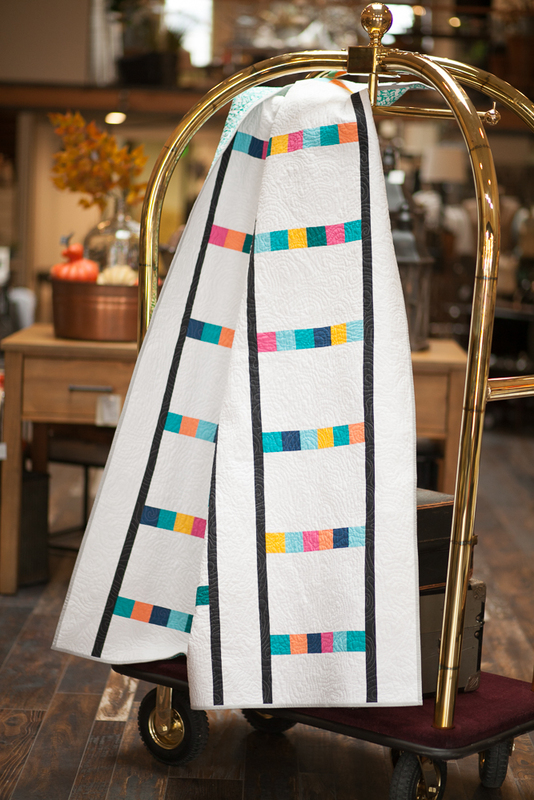 I was paired us with Lorinda for this collection and had the opportunity to test her Kayak Point quilt pattern. I loved that the pattern is jelly roll friendly and was a fun and quick make (with few seams to match). I wanted to turn the blocks I made into a runner for my parents' anniversary present so I used some colorful prints from Lucky Girl by Jennifer Paganelli got Free Spirit paired a cream and black polka dot print from Hello Bear by Bonnie Christine for Art Gallery (my mother loves color). 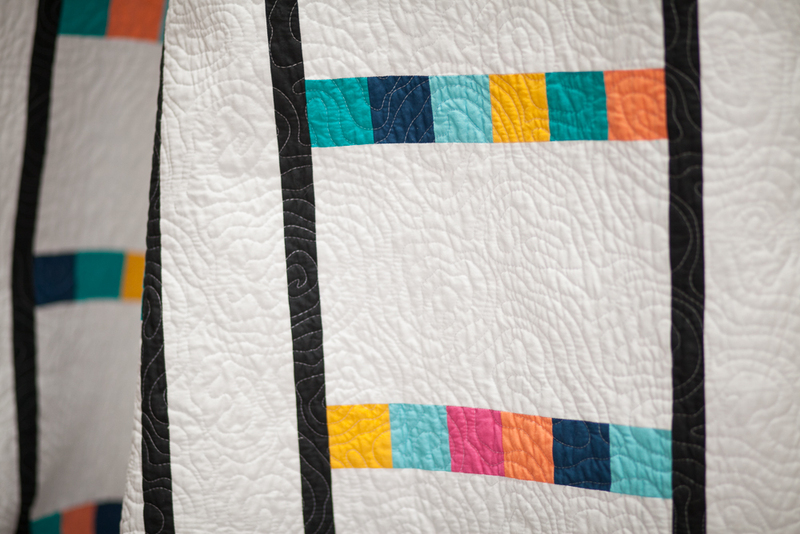 The pieces sewed together quickly and easily and soon the quilt top was finished. Instead of my usual one fabric backing, I decided to use some of the leftover prints and sew them into a random pieced backing. I quilted the runner using an allover swirl design, the bound it with some of the darker print fabrics. I am happy to report that my parents loved the runner. 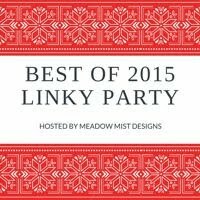 Thanks Lorinda for creating such an awesome design, I was lucky to be paired with you! 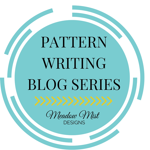 You can find all 6 Quilt Theory patterns here and see my design Up the Ladder here. 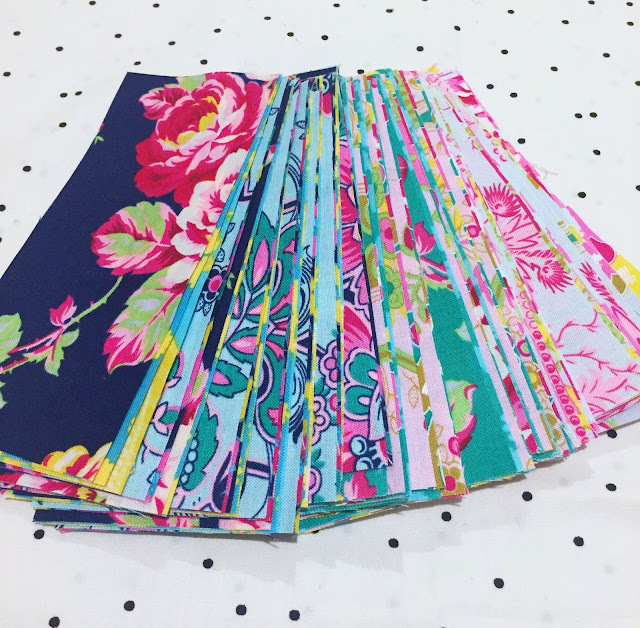 I am linking up to Finish It Up Friday over at Crazy Mom Quilts. 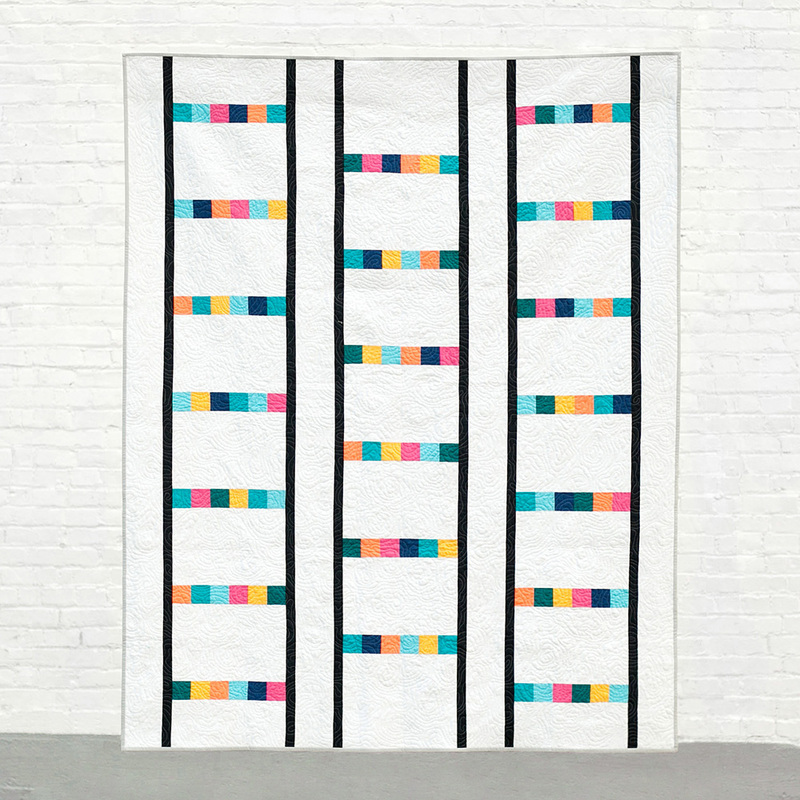 I would like to introduce Up the Ladder, my quilt pattern for the 3rd pattern collection of Quilt Theory. Up the Ladder was inspired by traditional quilt ladders used to showcase and store quilts and is a lap sized, jelly roll or mini charm pack friendly pattern. The pattern combines beginner level piecing into a strong geometric design. Many thanks to Michael Miller for providing the beautiful Cotton Couture solids and to Aurifil for supplying the thread for the piecing and quilting. I quilted Up the Ladder in a topography like design using 50 wt white (color 2024) Aurifil thread. The 50 wt worked well to create texture but not stand out too much on the darker colored fabrics. For our third collection, we picked out a color palette that each of us worked with. 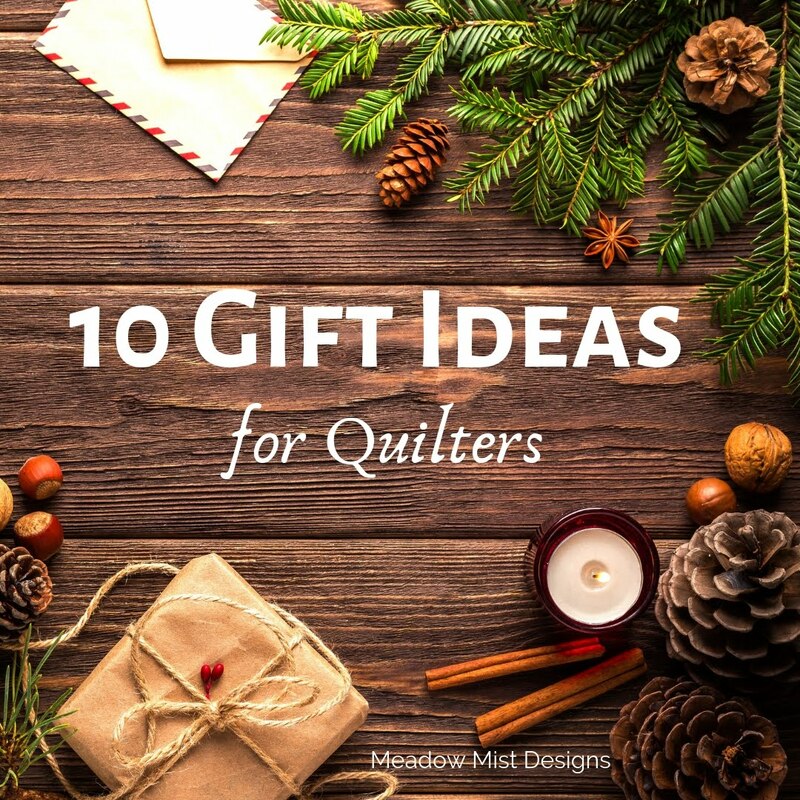 We hope you find a lot of inspiration in our collection to make quilts from your favorite bundles in your stash. 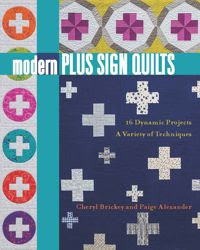 PDF patterns are available now through our website QuiltTheory.com. Pattern cards coming soon to a local quilt shop near you! 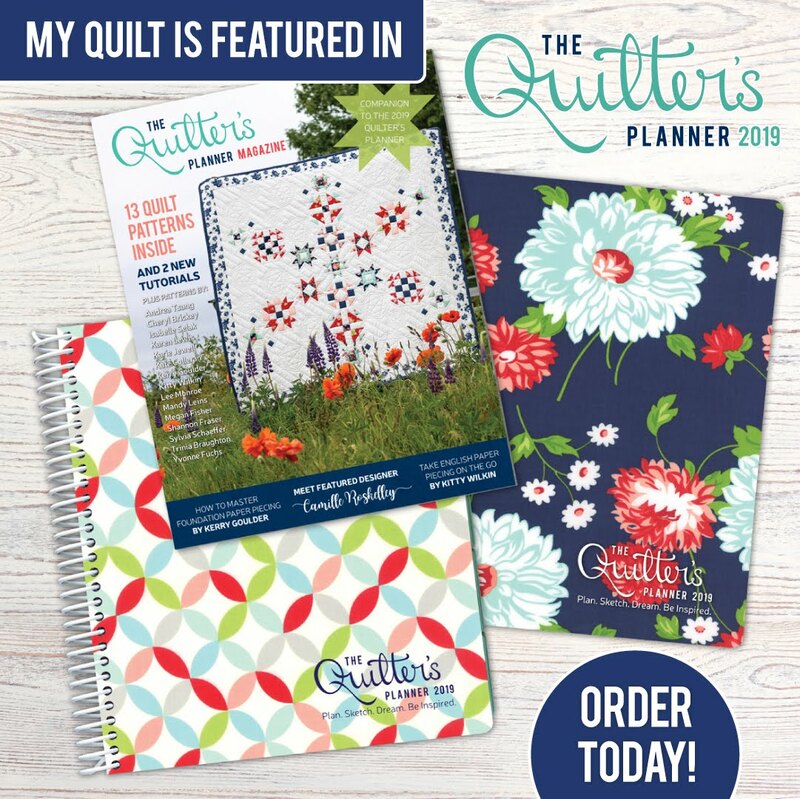 Let your local quilt shop know you want them to carry Quilt Theory patterns. How about a 15 piece neutrals Michael Miller fat quarter bundle and 4 yards of Cotton Couture in Marine? There is more than enough fabric to make your own Up the Ladder. Thanks so much to Yvonne for arranging all of the wonderful prizes we have for this hop. 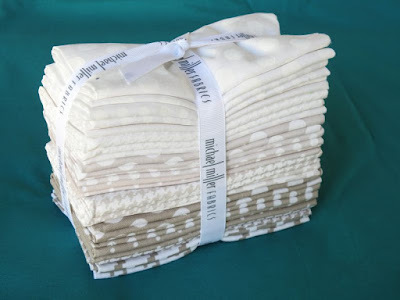 To enter, use the Rafflecopter widget below (if you are reading this post via e-mail, you may need to click on the link below to enter the giveaway). The giveaway ends Friday, October 27th, at 8 pm eastern time and a random number generator will select the winner. 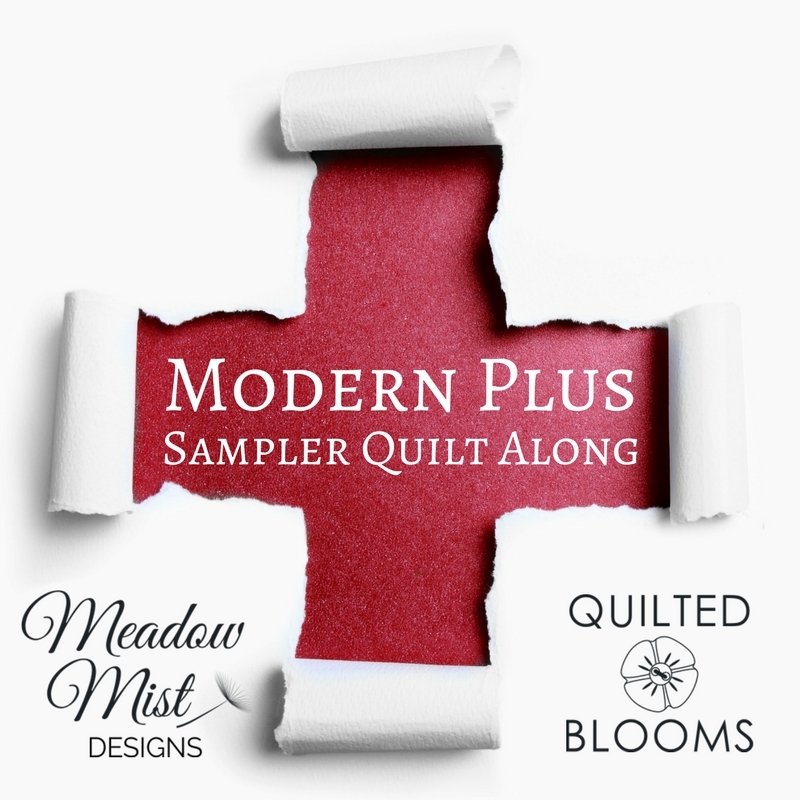 Giveaway open to participants 18 years or older in the United States (due to shipping costs, other blogs during the hop are having Aurifil giveaways that are open to world wide participants). 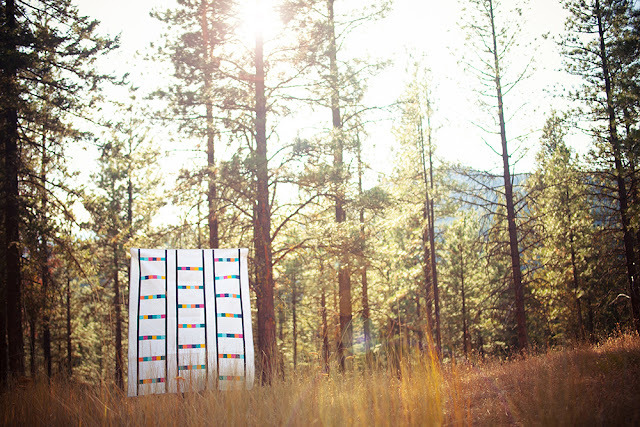 Be sure to visit the rest of the Quilt Theory designers this week during our blog hop! 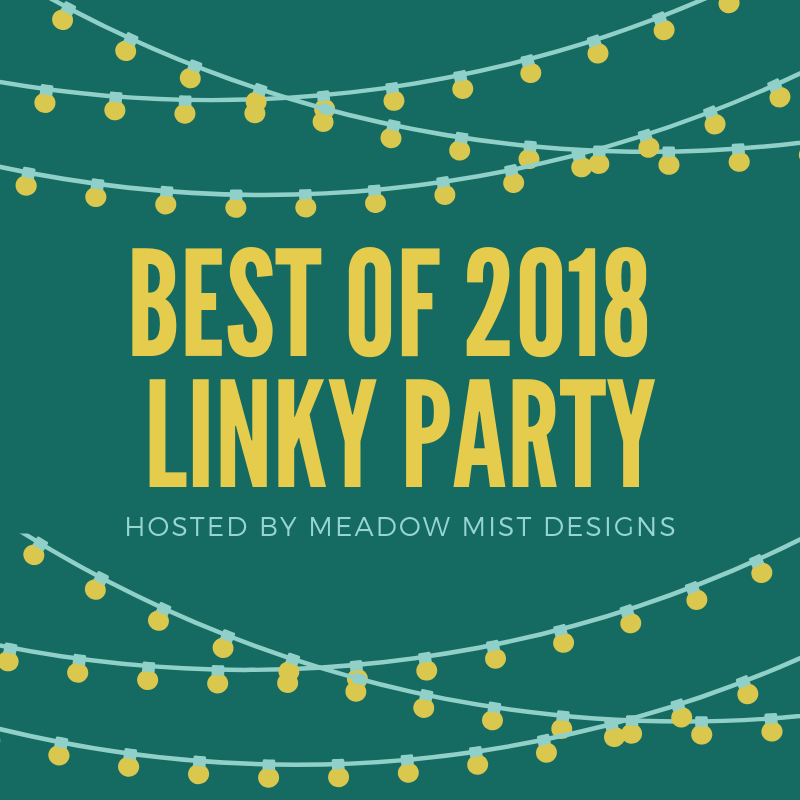 Friday 10/20 – Cheryl from Meadow Mist Designs ← me! 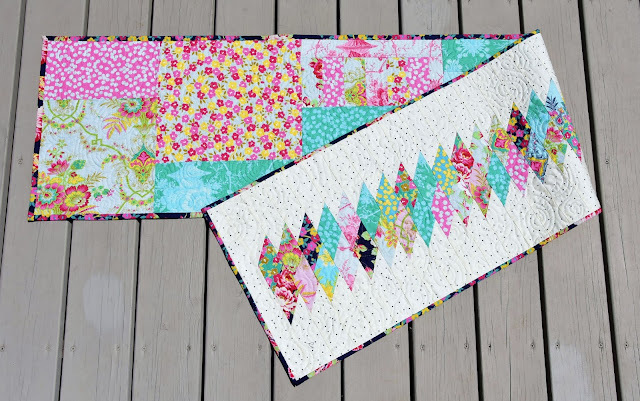 I am linking up to Finish It Up Friday over at Crazy Mom Quilts. Back in the spring I had a block called Sizzle Star in the 100 Blocks Magazine Volume 15. Sizzle Star was a paper pieced block design with some unusual angles and shapes that finished at 12" x 12". Here is the original block from the 100 Blocks Vol 15 magazine. 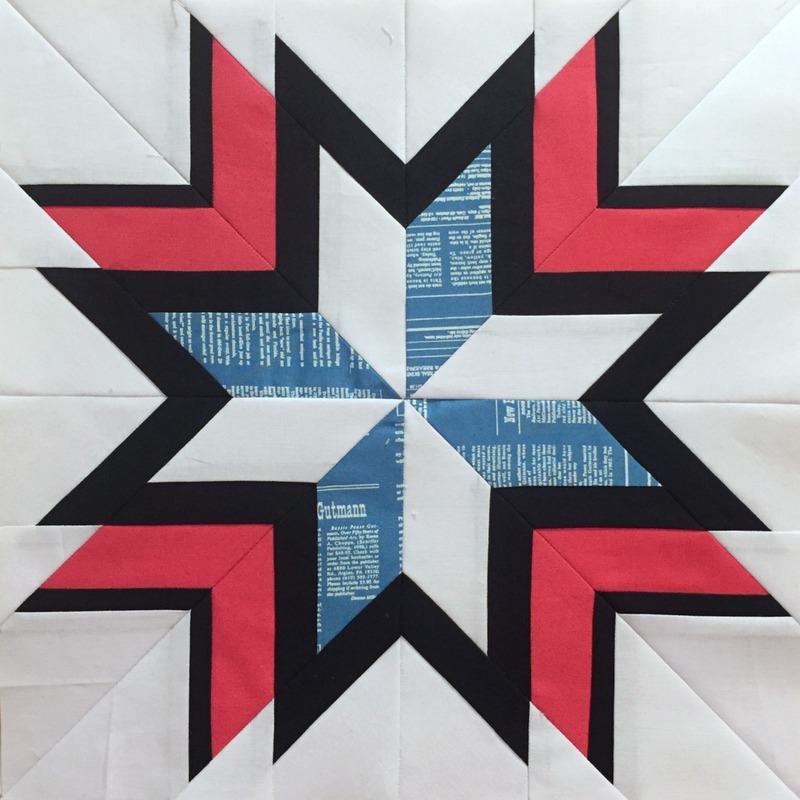 I was so excited when Quiltmaker contacted me and asked I wanted to make a quilt using Sizzle Star for their special issue Quilts from 100 Blocks! I was busy at the time making the quilts for my upcoming book, so I designed the quilt, Eileen Fowler pieced the quilt top, and Kim Waite quilted the quilt. For this design, I increased the block size to 15" square (finished) and set the blocks on point as I think that the stars really pop rotated 45 degrees. I like how this creates a nice 57" x 72" lap sized quilt using only 7 blocks (as each block is pretty complex and time-consuming to piece). 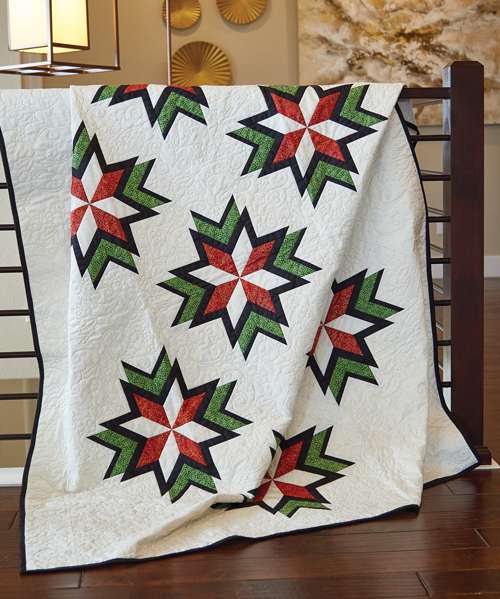 Sparkling Stars is one of 16 beautiful quilts in the Quilts from Quiltmaker's 100 Blocks Fall 2017 magazine. Magazine copies are now available in both print and digital formats. 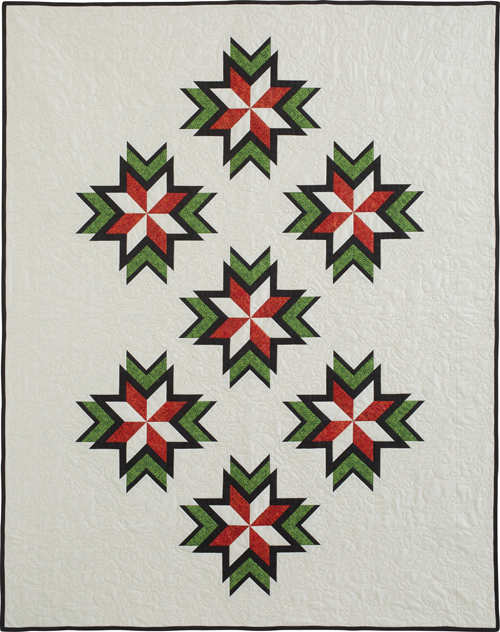 The Sparking Stars quilt pattern is also available as a stand alone digital quilt pattern. 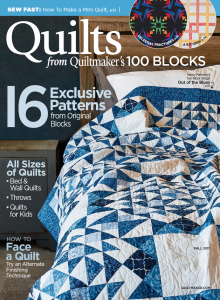 Thank you so much Quiltmaker for allowing me to be part of your wonderful publication!! I am linking up to Finish up Friday over at Crazy Mom Quilts. 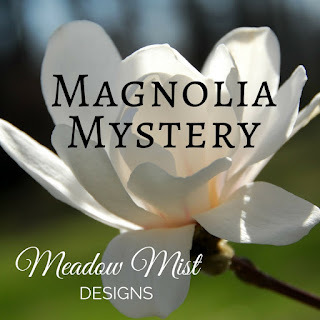 I am so excited to see all of the half geese units for the Magnolia Mystery Quilt popping up in our Facebook group and on social media #MagnoliaMysteryQuilt. 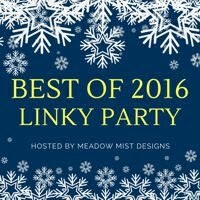 If you want to join in it is not too late! 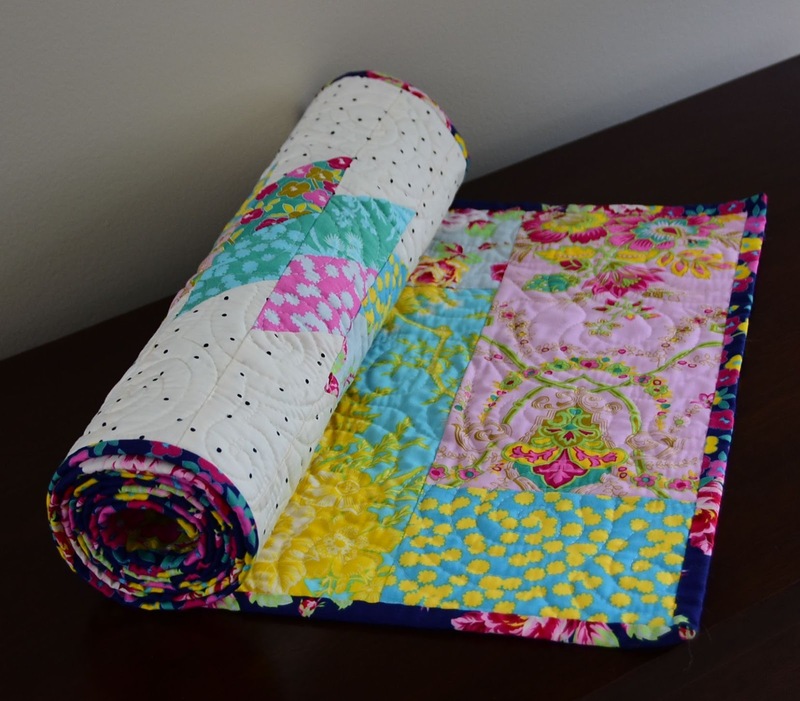 You can find all of the information about the mystery quilt here (including the instructions, fabric requirements, quilt sizes, Facebook group, sneak peek, etc). Welcome to the October Instructions for the Magnolia Mystery Quilt, this month we are sewing some half geese units. You can find all of the Magnolia Mystery Quilt information and posts can be found here. We are just getting started so please join us! - Make an even number of left and right facing geese units from each pre-cut (layer cake slice/jelly roll strip/fat quarter) and keep the right and left half geese units from each pre-cut together. 36 Fabric B rectangles (2 ½” x 4 ½”) and 36 Fabric D squares (2 ½” x 2 ½”) to make 36 left facing half geese units (2 ½” x 4 ½”). 36 Fabric B rectangles (2 ½” x 4 ½”) and 36 Fabric D squares (2 ½” x 2 ½”) to make 36 right facing half geese units (2 ½” x 4 ½”). 36 Fabric B rectangles (3 ½” x 6 ½”) and 36 Fabric D squares (3 ½” x 3 ½”) to make 36 left facing half geese units (3 ½” x 6 ½”). 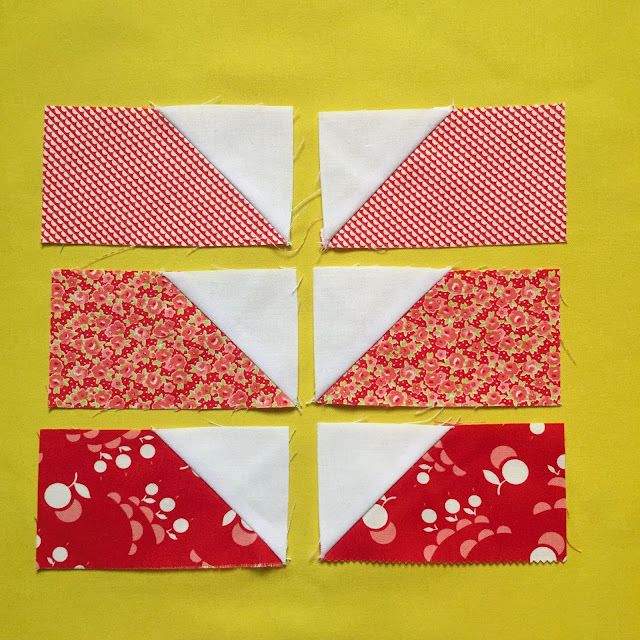 36 Fabric B rectangles (3 ½” x 6 ½”) and 36 Fabric D squares (3 ½” x 3 ½”) to make 36 right facing half geese units (3 ½” x 6 ½”). 1. Place a Fabric D square on the short side of a Fabric B rectangle right sides together. Draw a diagonal line using a removable marking device on the back of the Fabric D square (shown as the solid line). check the orientation of the marked line. 2. Sew along the marked line. 3. Trim ¼” from the seam line and press open or towards the Fabric D.
4. Repeat to make a total of 36 left facing half geese units and 36 right facing half geese units.